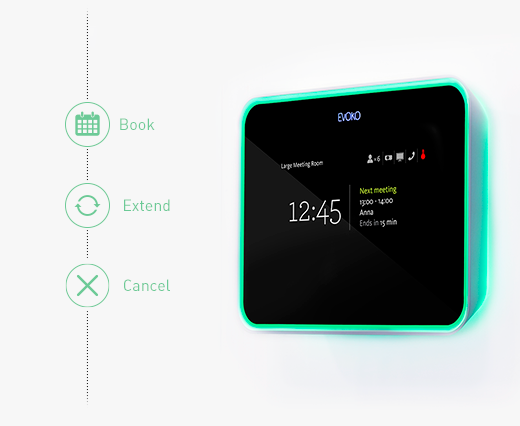 The intelligence of a meeting begins with your simple reservation. 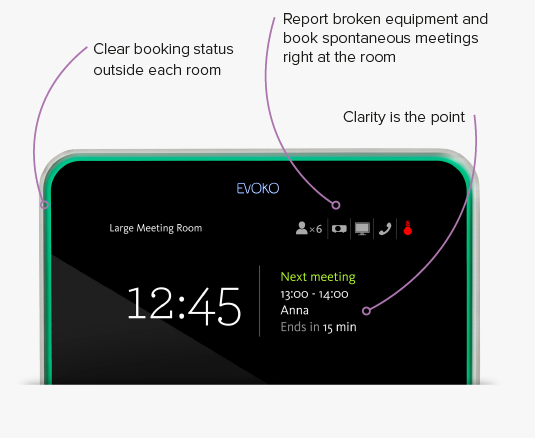 Forget about double bookings, confusion and interrupted meetings. 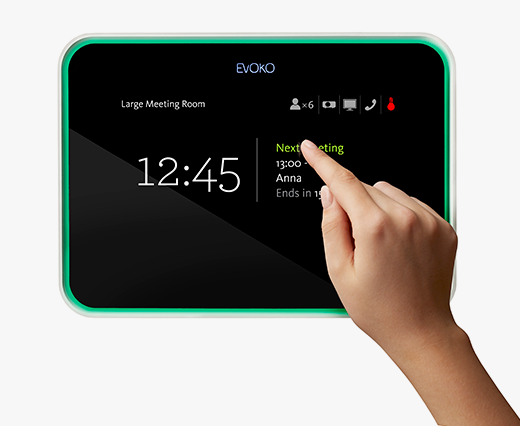 Book conference rooms easily and then have all information presented on the screen.Evoko Room Manager is the most beautiful touch-screen solution for all your meeting rooms. Make sure they’re being used in a truly effective way. It integrates seamlessly with the existing e-mail server. 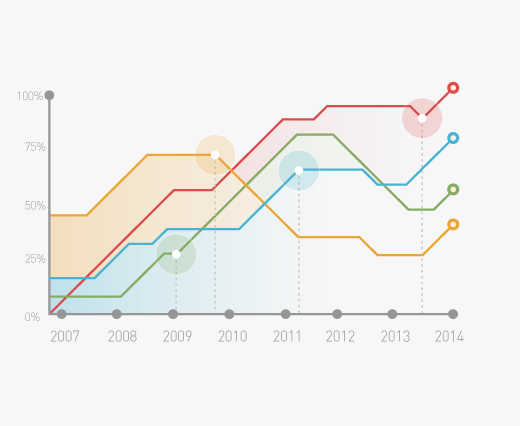 Now you’ll get full insight into your organization’s meeting patterns to optimize your resources. 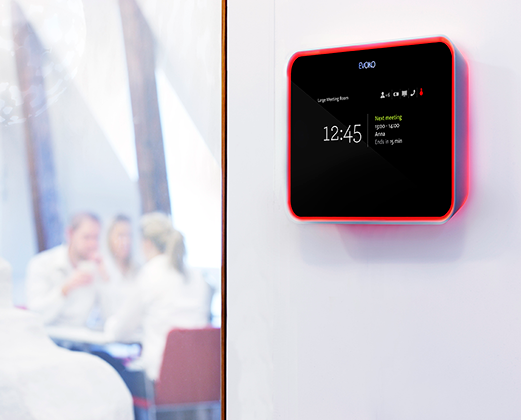 Get decision-making support that really cuts costs. 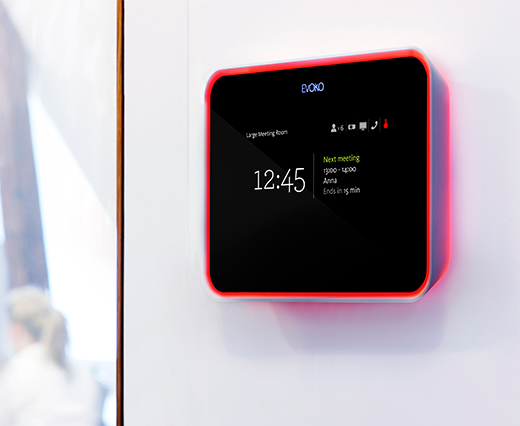 If you have rooms for improvement – get in touch with the Evoko Room Manager. 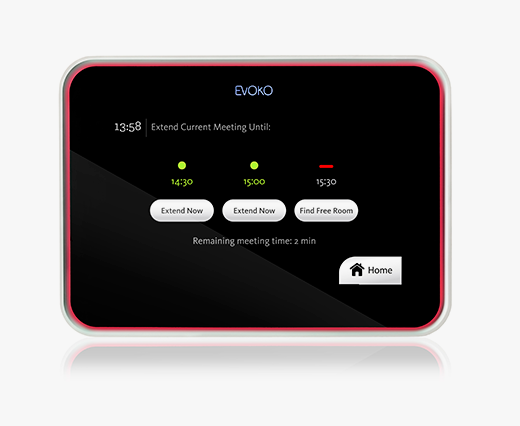 With Evoko Room Manager you’ll get everything you need in the product box and pay a set price per unit. That’s it! You never have to worry about license fees, subscriptions or needing extra software or accessories. A one-time cost for everything you need. Contact us filling out the form below!